Work is something none of us can escape. We can only hope that we love the work that we do. Whether you work normal hours or unconventional ones, you spend a very large portion of your time pursuing a career, so why not write about it? Just as you have a personal diary where you record private thoughts and feelings, you can also have a work diary where you can record similar, work-related ideas and opinions. So, what exactly is a work diary? A work diary is a journal where you can reflect on your professional life by writing about your experiences in a private and secure place. It is where you can write new ideas, complaints, praise, goals and more. A daily work diary is a great tool for outlining your career, setting milestones, and achieving your goals. Why write a work experience diary? All types of diaries can be really useful and valuable. A work experience journal is a great way to keep what you’ve learned, your experiences and your skills organized. By writing down your day-to-day tasks, successes and failures, you will begin to compose a strong snapshot of what you have accomplished and new skills you have gained. Along with documenting your efforts, keeping a daily work journal gives you a place to solve problems and brainstorm new ideas. By writing things down, you are able to process things differently than you would by just working things out in your head. This allows you to be able to come up with conclusions you may not have necessarily met if everything wasn’t laid out in front of you. Since work diaries are private, you can feel free to jot down anything you desire and let your creativity run free because the words are for no one else’s eyes. It becomes a personal account of a part of your life that is usually kept public. Why use Penzu’s Work Diary App and Software? 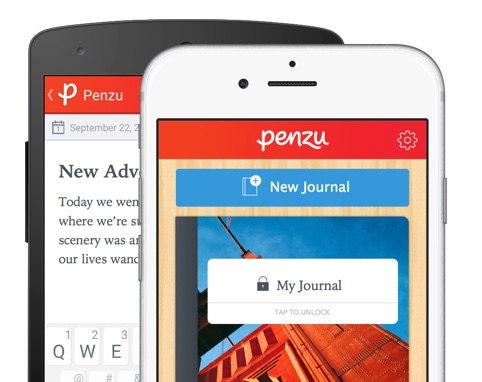 Penzu’s diary app and software makes your records accessible, organized and secure. By using Penzu, you can access your work diary software from the web, mobile devices and tablets, and pick up right where you left off, since your diary is saved safely in the cloud. Whether you want to take notes in your diary during work, on the way home or before you go to bed, you can write your entries from anywhere. You shouldn’t have to take your work home with you, but you can certainly take your work journal anywhere you like! If you aren’t sure how to structure your entries, consider using a diary template. Before work, write down what you hope to achieve or learn that day. After work, write down what you actually did achieve or learned that day. Stay organized with daily to-do lists. Write goals you would like meet and create timelines for each. Use your diary as a place to brainstorm ideas. Take down notes from meetings, so you can revisit them and connect them to other thoughts or ideas. Use your diary as a place to express any grievances or things you want to change. Use your diary to write down what you enjoy about work. Record your achievements and problems you have solved and how. Don’t forget any more of your work achievements or the professional hurdles you have conquered. By having a convenient place to write down your daily activities, you can start learning from mistakes, fostering new skills and accomplishing more. Start writing your work dairy today!